Performances take place on the 31st Avenue dance stage. 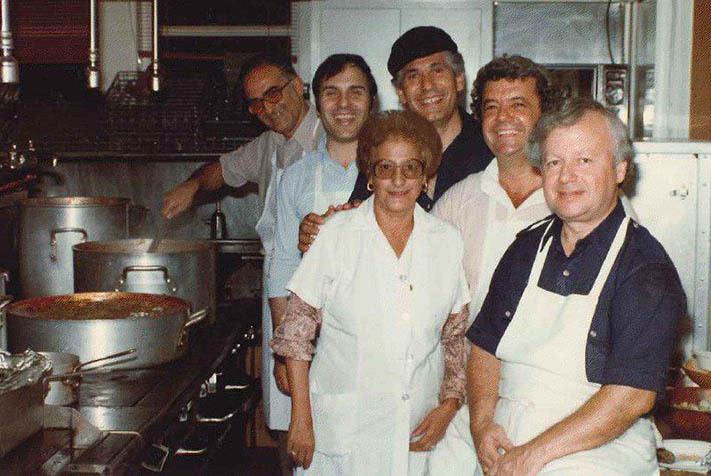 Learn to make Greek dishes and desserts from George Papas, author of: "The Art of Greek Cooking." Saturday and Sunday only, 1:00 pm. Admission is 4 talents. 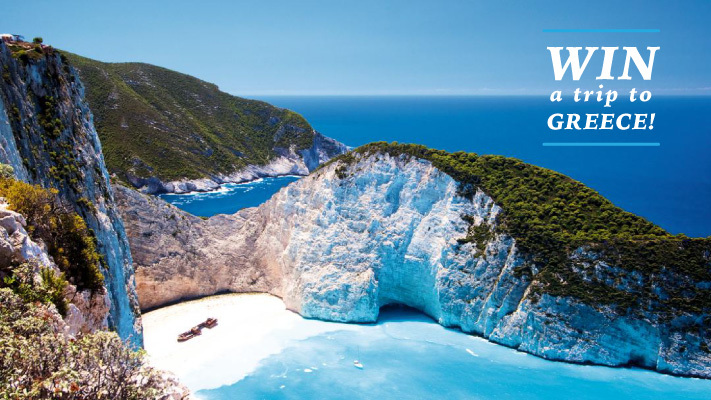 Imported crafts and gifts from Greece: Rugs, Decor, Textiles, Ethnic Jewelry, Hand Knit Sweaters, Fisherman Hats and T-shirts. 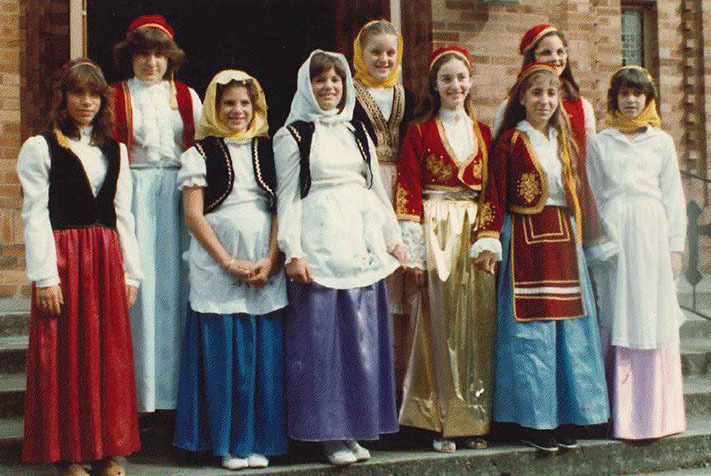 Traditional, Byzantine and modern designs imported from Greece. Gourment Imports: fine cheeses, olives, olive oil, pastas, herbs and spices, preserves, nuts, and more. Face painting, coloring, games and more! 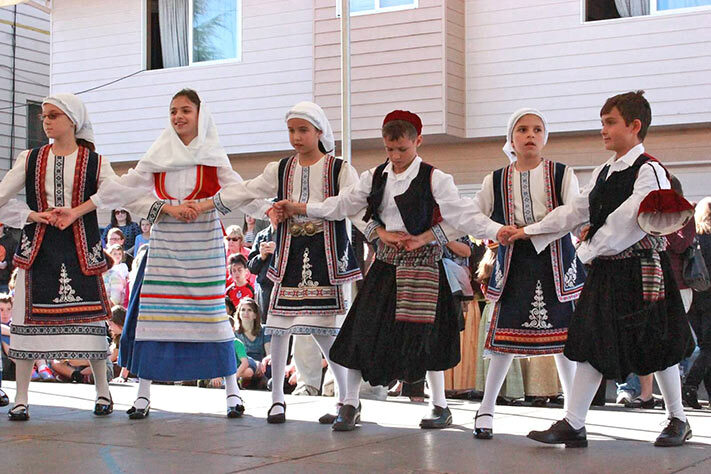 Dedicated to preserving and sharing the Hellenic-American experience in Oregon and Southwest Washington, HACCM celebrates the rich cultural traditions brought to this region by the Hellenes, immigrants from Greece. Admission is free. Dinner tickets are available at the information booth or at the door. 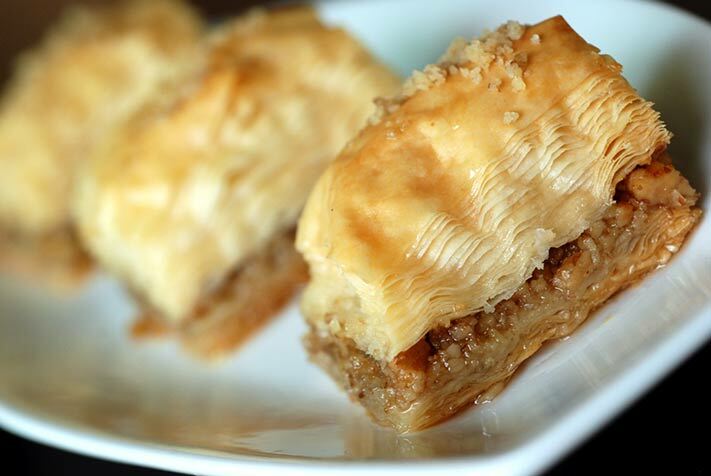 Delicately thin pastry leaves (filo) spread with butter and filled with a walnut/spice mixture and topped with syrup. A custard type filling in filo. Topped with honey, cinnamon and powdered sugar. A delicate butter and egg pastry deep-fried and dipped in honey. Sprinkled with spices and nuts. Kadaifi dough with butter, chopped walnuts, cinnamon and cloves, topped with a honey syrup. An all butter and egg braided cookie. Not overly sweet and good with coffee. A braided cookie make with pure vegetable shortening and spices. An all-butter and egg yolk shortbread-type cookie flavored with brandy and dusted heavily with powdered sugar. An all-butter cookie with an apricot filling. Choose one of the three flavors of this Greek biscuit: orange, amaretto or anise. Rolled filo with walnuts and spice mixture, topped with honey syrup and chocolate. Braided sweet bread, make with eggs, milk, sugar, and butter. 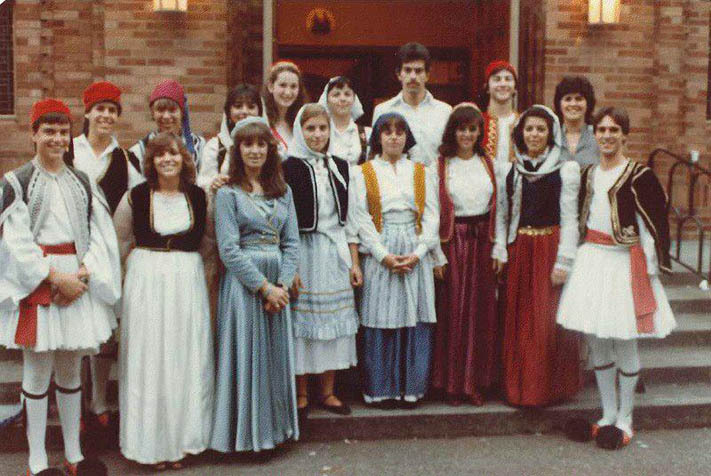 When the first Greek immigrants came the Northwest in the late 1800s to work in fishing, lumber, railroad and other jobs, they established the Holy Trinity Greek Orthodox Church in southeast Portland. After they moved to a larger church on 32nd and NE Glisan in 1952, they needed to find a way to pay off the mortgage. 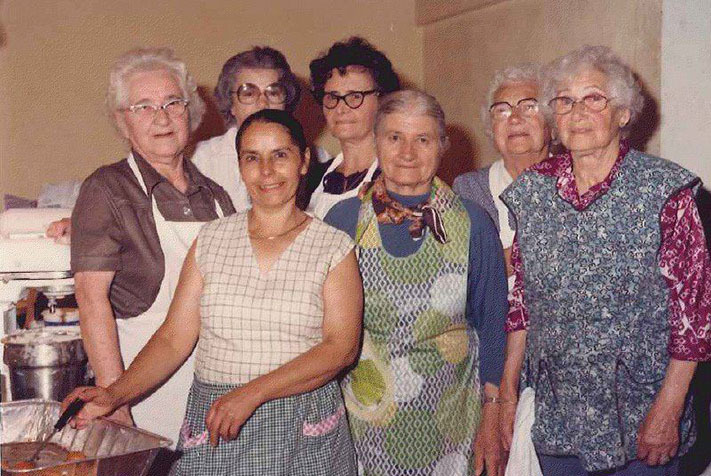 The ladies decided to help by holding a bazaar featuring their handwork, food, pastries, music and dances from their homeland. 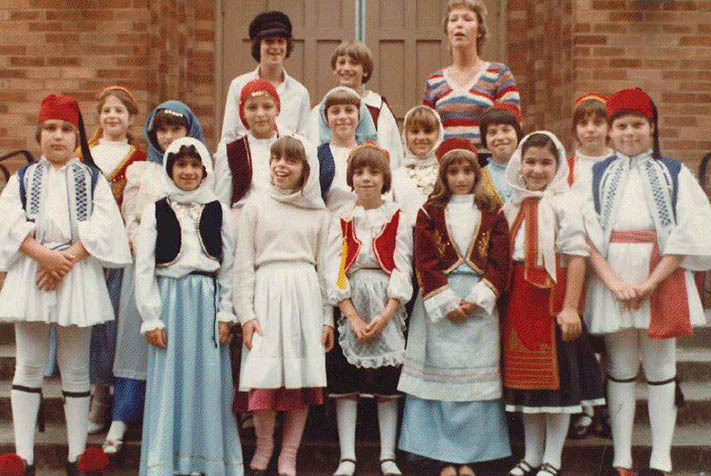 This was the beginning of what is now known as the Portland Greek Festival.